As women, we love fashion. We love to dress well and look amazing and stylish as best as we can. As single moms, looking good can be a bit of a challenge. 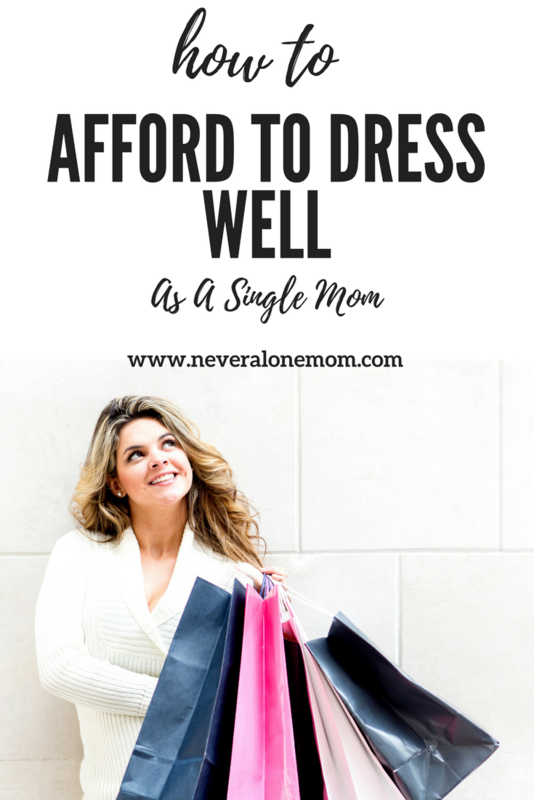 So today, I will share with you some great tips to save money on clothes and how to stay fabulous as a single mom boss. Clothes are something we can spend a lot of money on, and when it comes down to reviewing your statement at the end of the year, you’ll see the damage because you couldn’t resist a cocktail dress here or a pair of jeans there. So it’s clear something needs to change! But don’t worry, we can work on your clothes habit to make sure you’re saving as much money as possible when it comes to searching both the high end and the high street. Here are the tips you’re going to need to do so. If you can’t see yourself wearing something at the back of your wardrobe at any time in the foreseeable future, it’s time to make some money back on it. And you can do so by simply selling off your old style to make room for better clothes you know you’re going to love. You can easily make a few bucks back on each item if you go to a second-hand store, or use the web for one of its best purposes. If what you own is still in good condition, and there are no stains you can’t simply wash out, you’ve got some good trade there to get rid of. Go through your closet now to get a good look at everything you’ve got stored in there, and then pack all of your sellable pieces into a bag to shift tomorrow. Of course, not everyone is going to be capable of this, I for sure am useless with a needle and thread, but when you can make your own clothes, you know how much wear and tear there’s going to be in the end product. And when you’re wearing a t-shirt you’ve put together yourself, you’re going to be really proud of yourself! Original style for the win! If you’re not handy with a sewing machine, you can easily head online to find services that will make your pieces for you. Sometimes it can be a lot cheaper based on how much use you’re going to get out of an outfit as well as how well it’s designed; much better than a shirt or blouse you can pick up from a chain store for $20. So if this option interests you, you can view here the options available out there, especially on the internet. When you’re trying to be thrifty with your clothes shopping, you’re going to need to go searching high and low to get as much money off of your purchases as possible. And one way to do that is to always use the net to find coupons and money off vouchers that some collection sites can offer. I do my best to always share my best tips on how to be a cool mom on a budget! Saving money on your dress sense is a lot easier than you might think, and you can always try to repurpose any of your old items if you really can’t afford to get rid of them. Don’t worry, as soon as you get into the groove of hemming jeans into shorts, you’re going to be an expert. Making sure you look good is part of an important self-care routine that should be a priority for every woman, especially us single moms. So on our tight budgets, we have to work with what we’ve got and make the best of it. I know these tips will keep you looking fabulous! Subscribe for more tips, advice and fun for the modern single mom. Great info! It’s so difficult to put yourself first when you are taking care of your children on your own!